One of the enduring mysteries of alcohol research is that when you tally up all the booze that people report consuming when they are surveyed about their drinking habits, it rarely adds up to even half of the alcohol sold. So either we pour half of the liquor we purchase into the sea (could this be the origin of the phrase “drank like a fish”?) or we tend to forget — or intentionally lie about — how much sauce we imbibe. A clever new study in the journal Addiction provides clues about who is worst at owning up to the full extent of their drinking. The researchers surveyed over 40,000 people with standard alcohol survey questions about their quantity and frequency of alcohol consumption — “How many drinks have you had in the past month?” and so on. But in a smart twist, they then asked a more immediate question: “How many drinks did you have yesterday?” This method is useful for detecting under-reporting because of the improbabilities it reveals. For example, if 50 percent of people who say they drink once a month acknowledge drinking yesterday, one can infer that this group is severely under-reporting their consumption: If they were truly once-a-month drinkers, only about 3 percent should acknowledge drinking on a particular randomly selected day of the month. 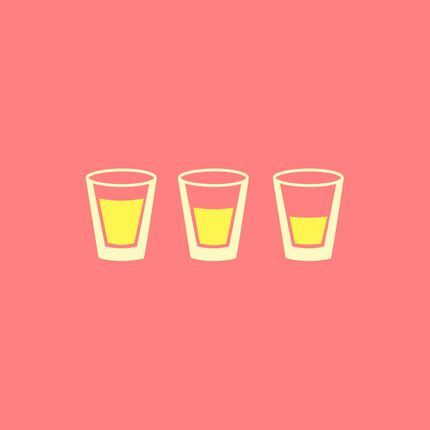 Men and women were comparably good (or bad, depending on your perspective) at accurately reporting their drinking. But as the chart above shows, a large difference emerged when types of drinkers were compared. Putatively low-risk drinkers grossly under-reported, acknowledging only about one in four of their actual drinks consumed. The heaviest drinkers actually recalled their consumption most accurately, but in absolute terms they still only reported about half of it. Why does this matter? First, some health advice about drinking could be wrong. For example, the recent warnings that low-level drinking can cause cancer could reflect reality, but could also reflect the fact that people aren't revealing the full extent of their drinking to researchers. Keith Humphreys is a professor and mental health policy director in the department of psychiatry at Stanford University. He tweets at @KeithNHumphreys.